The US government department has denied a temporary visa for Noé Aguilar to travel from Guatemala to attend services for his teenage daughter, according to the father’s lawyer. 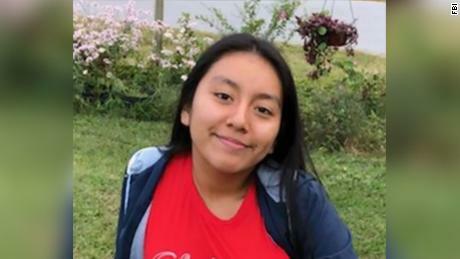 “I had hoped they would find it in their hearts to let me be there for my daughter’s funeral,” said Aguilar CNN in a short phone call Friday. “It’s not true,” she said. He has a family there and his own company. Salem said that her client has requested another visa interview but has not heard from the US embassy officials in Guatemala. Talesman Marlo Cross-Durant, State Department, said that data on individual visa cases are confidential. “All visa applications are determined on a case by case basis in accordance with the requirements of the Immigration and Nationality Act (INA) and other applicable laws,” said her statement. “As you can imagine, the family is devastated by the loss of such a promising young lady who was loved by her family, friends and was one of the best students in her class,” wrote Cooper. In addition, approximately 10,000 people have written an application in support of the dad’s visa request, according to CNN affiliate WSOC. Hania’s grandfather and a mother’s aunt got temporary visas to attend the funeral, according to Aguilar and Salem. Aguilar said that he last saw his daughter in 2005. He said they were talking on the phone and her mother talked to him about her daughter and sent pictures. Salem said that Aguilar had lived in the United States and moved back to Guatemala when Hania was an infant. “She was very far away but she was always close in my heart and mind,” said Aguilar. Aguilar is not sure what to do on Saturday at the funeral. 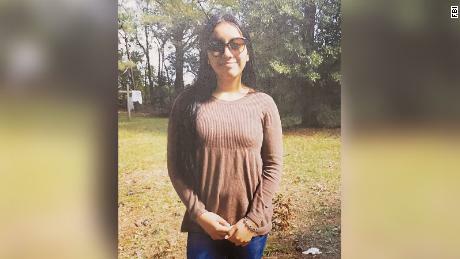 Hania, an eight-degree at the Lumberton Junior High School, was abducted outside his home at rural Lumberton on the morning of November 5, the authorities said. Her body was found last week in Robeson County, said Lumberton’s policeman Michael McNeill. Lumberton is located in southeastern North Carolina, near Interstate 95, about 95 miles from Raleigh. Police said she was kidnapped in a relative’s SUV who was idling in the driveway in the morning before school. The authorities issued an Amber Alert at that time. A witness saw a man wearing black and wearing a yellow band force Hania into the vehicle. The police said they had no reason to believe that Hania knew her abductor, and her family cooperated with the investigation. The stolen SUV was found abandoned less than 10 miles from Hania’s home at Rosewood Mobile Home Park, the authorities said. The FBI has asked the public for information about a man seen in surveillance materials near Hania’s home. The man was described as wearing light shoes, a light sweater and a hoodie. The Lumberton Police and the FBI have also asked residents with surveillance systems to save the video, even though they do not see the stolen SUV in the pictures and contact the authorities.